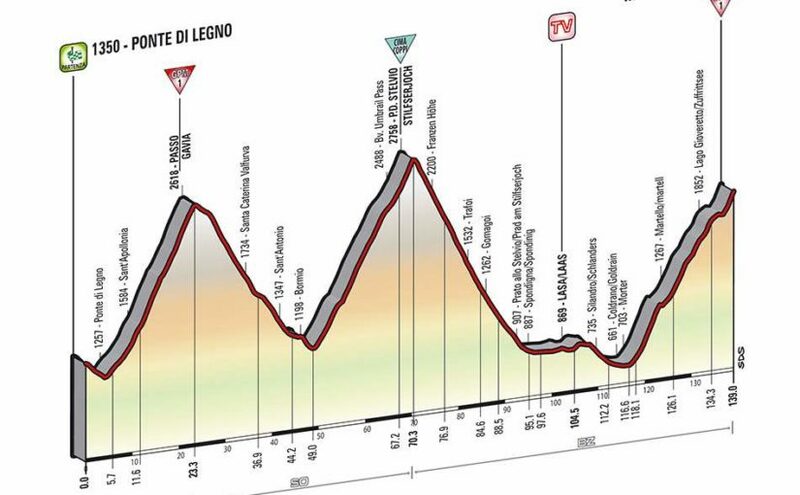 Stage 16 of the Giro d’Italia 2014 is a 139 km high mountain stage from Ponte di Legno to Val Martello (Martelltal). It is this years’ Cima Coppi stage. Stage 19 of Giro d’Italia 2013 edition is a High Mountain stage with summit finish, between Ponte di Legno and Val Martello. The length of the course is 138 kilometers, short but tough. The route also contains epic climbs of Passo Gavia (3618 m) and Passo dello Stelvio (2758 m).